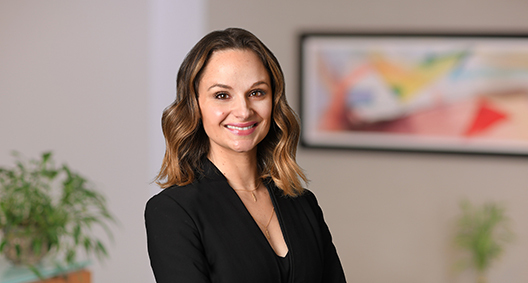 In an increasingly connected world, Aleksandra Vold’s emphasis on cybersecurity offers clients a critical safeguard. Her practice is devoted to privacy breach response and preparedness, payment card industry standards and investigations, and advising on how to identify, evaluate and manage first- and third-party data privacy and security risks. When a breach occurs, Aleksandra promptly coordinates a skilled team – including forensic and public relations professionals, and notification vendors – to quickly help reduce public and regulatory scrutiny and protect her clients’ reputations. She has handled numerous breaches for entities of all sizes, including merchants, financial institutions, medical providers and educational institutions. Aleksandra’s strengths in cybersecurity are bolstered by her representation of startups and closely held technology companies in a variety of commercial disputes, including intellectual property, trade secrets, federal labor law and contract matters. Additionally, she brings a strategic advantage to the defense of class action litigation, having worked as a plaintiffs’ attorney who focused largely on consumer data privacy class actions. Aleksandra frequently advises clients on compliance with state, federal and international laws and regulations. Handled data breaches ranging from a single record loss to 23 million records lost with multi-national notification requirements, and attacks ranging from drive-by ransomware injections to pervasive network compromises by international hacking groups, which led to personal and company extortion attempts. Coordinates all aspects of data security incident response, conducting initial breach intake, vetting and selecting vendors (forensics, PR and notification), drafting notification materials (individual notification, talking points, frequently asked questions, media statements and regulatory notification), supervising and directing forensic investigations, and assisting clients with mitigation activities. Assists in management, investigation and response related to regulatory inquiries from state attorneys general and HHS OCR. Coordinates and participates in clients’ internal investigations, document and policy reviews, and drafts formal responses to regulatory inquiries. Counsels both acquiring/investing and target companies on the scope of due diligence requests and responses related to data privacy and data security reps and warranties. Defended companies sued for alleged violations of privacy statutes, including the Illinois Biometric Information Privacy Act and Fair and Accurate Credit Transactions Act in state and federal court.